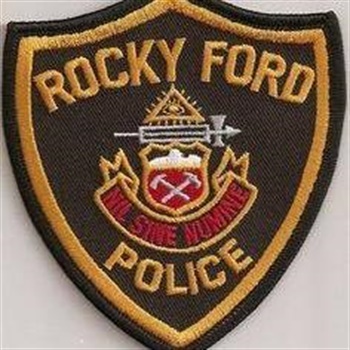 A Rocky Ford, CO, police officer was stabbed in the neck Tuesday, and the suspect then reportedly took the officer's car and fled the scene, reports KRDO. Police said the officer was dispatched to a call in the 500 block of N. 11th Street. The officer was transported to a hospital, but the officer's condition was unknown. Neither the officer nor the suspect has been identified. It's assumed that the suspect is armed and dangerous. The stolen police cruiser is a Dodge Charger with a red stripe.